Hello everyone, I just wanted to take a minute to update this post. 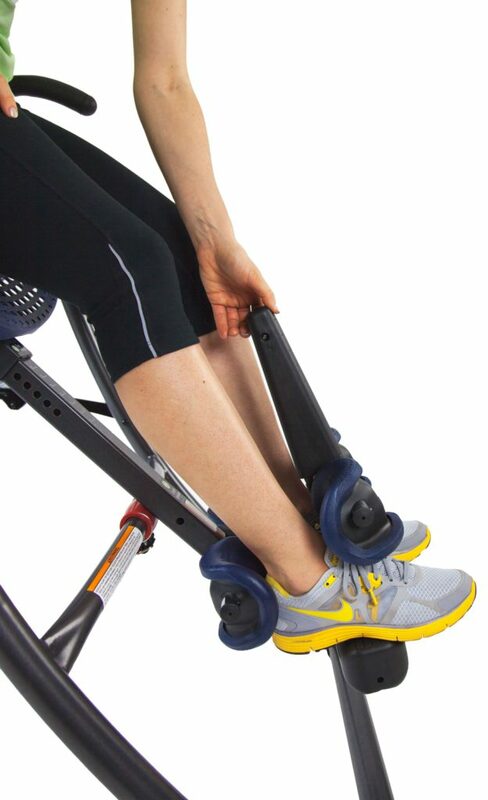 The Teeter Contour L3 inversion table is no longer available. 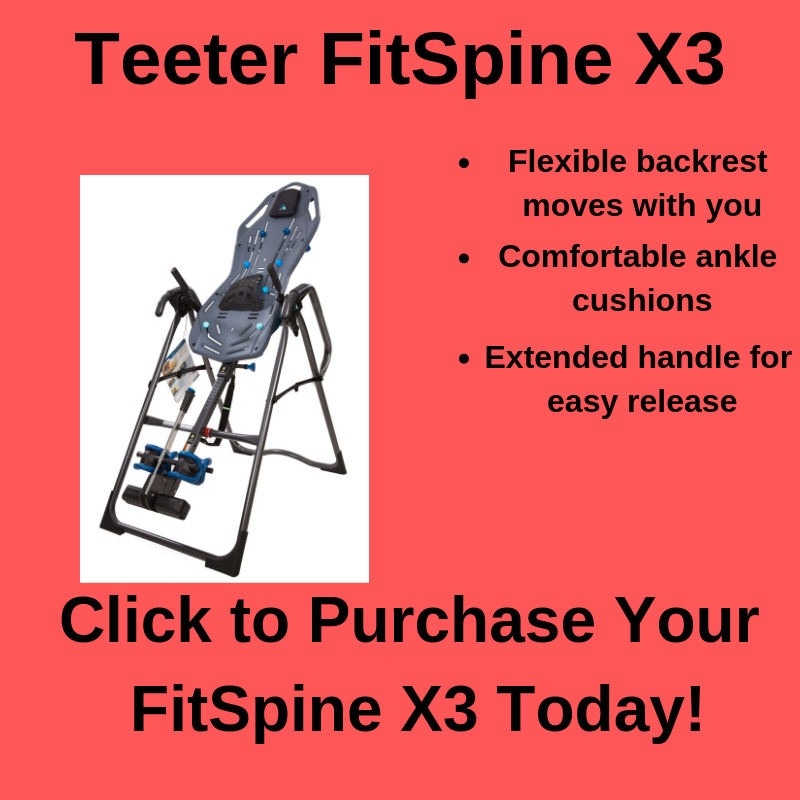 I recommend the Teeter FitSpine X3 as a very solid alternative. 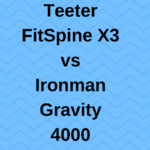 Check out my complete FitSpine X3 review, or click here to be redirected to Teeter.com for more information. 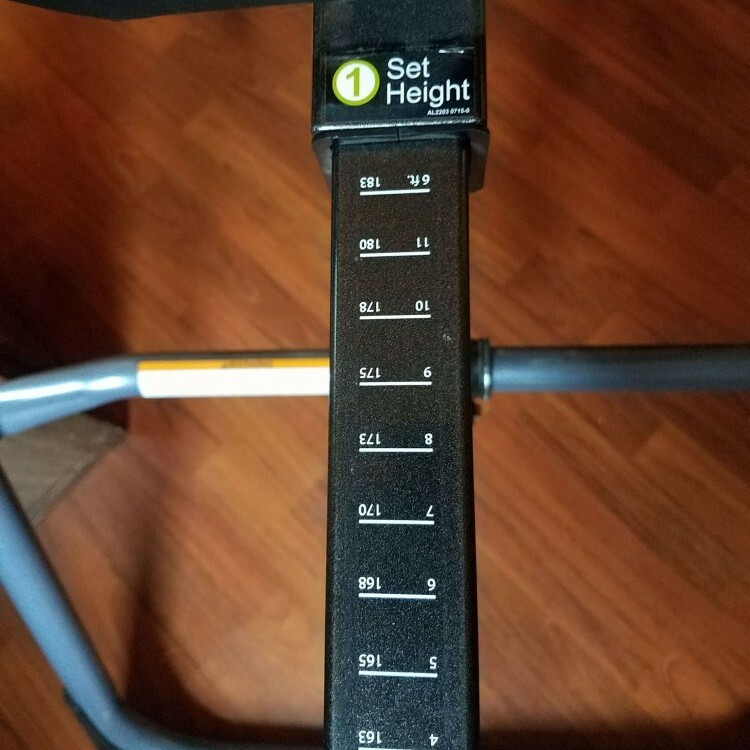 Today I want to talk about the Teeter Contour L3 Inversion Table, a model that is near and dear to me since it’s the one I own. I do have a slightly older version, so it’s not entirely identical, there are a few upgrades on the current version. 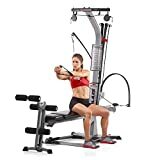 I will walk you through the features that this model has to offer and tell you why I think it is a great inversion table. I have been using this model for several years since I injured my back in 2015. Inversion therapy has been around for many years and offers a way to literally turn gravity on upside down to work in your favor. Inversion tables are very common for people with back pain. The basic concept behind an inversion table is to elongate the spine and in doing so, relieve pressure and provide pain relief. Inversion tables are used in a lot of cases for people dealing with a herniated disc, muscle tightness, or other back problems. If you have a pre-existing back problem as I do, you may be dealing with a lot of muscle tension as your body is trying to protect your spine. 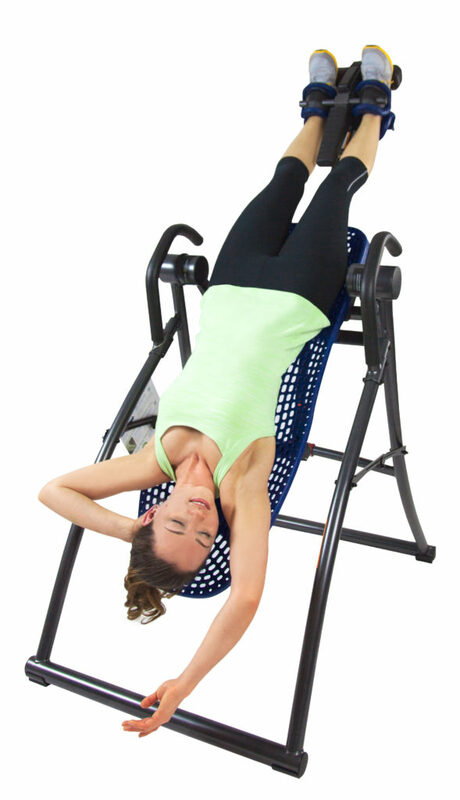 An inversion table can help to “release” some of that tension and provide pain relief. Some people use inversion tables as a piece of workout equipment, but I will not be taking that angle in this article. My experience has been using an inversion table for what it is designed to do, and that is help with back pain. With all of that said, let’s get into the nuts and bolts of this review. Summary: I love this inversion table and I hope you will too. Teeter makes quality tables that you can use for many years to come. The table itself is very sturdy and is rated for users up to 300 pounds. I feel like it has a rock-solid foundation and it never moves, slips or sways when I am using it. All in all, it makes me feel like I am not going to end up on my head when I am inverted, which is an excellent thing. The backrest is hard plastic, but don’t let that fool you, it is very comfortable, and allows the bed to flex with you if you decide to perform additional stretching exercises. The backrest does come with a small pillow for your head which is nice. I use this inversion table frequently, and I have no problems at all with the comfort of the backrest. This model also comes with acupressure knobs which you can place wherever you want to help with any knots or tight muscles. The knobs are easy to lock in place, and again, you can put them where you need them most. If you don’t want to use the acupressure knobs, you can remove them as well. Given all of this, I feel the backrest is customizable for individual needs. 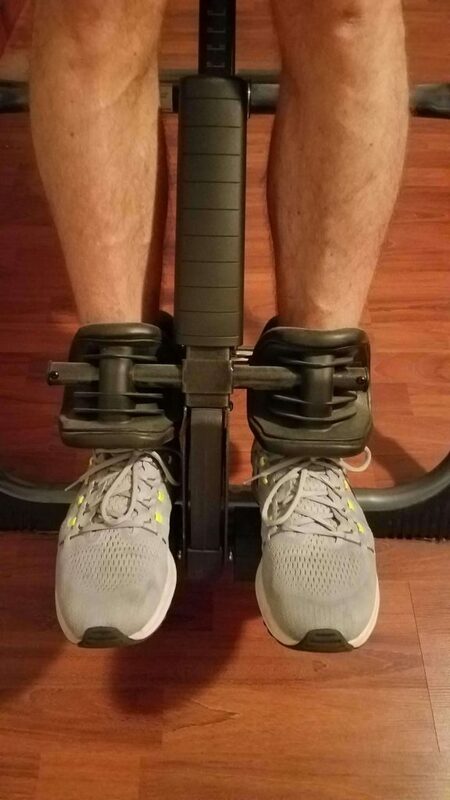 Okay, the ankle system on any machine is essential in my opinion. Excuse me if I ramble on in this section, but there honestly is a lot to cover, even though you may not realize it, to begin with. I consider the footbed, ankle cushions and the locking/release handle to all be the functional unit that makes up the ankle locking system. You want to feel safe and secure when you are inverting, and not end up on your head. The footbed is the part that you step on when you are first entering the table. On this model, you can rotate the footbed, to raise or lower it depending on your needs. With some tables can adjust the footbed height, but you have to unscrew it and then fasten it again, kind of a pain. With the Teeter Contour L3 inversion table, all you have to do is merely rotate the footbed, and the height is adjusted. This is just one more customizable feature not found on all inversion tables. The ankle cushions are contoured to fit nicely around the front and back of your lower leg, right at ankle level. These are firm, foam pads that will keep you securely in place. You can move them side to side and rotate them up and down to get just the right fit. Now for the ankle locking/release lever. 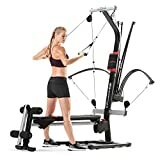 One of the reasons I chose this model, is due to the extended handle on this machine. I have been in a position with a herniated disc, where I was not able to bend over very far, so this longer handle served me very well. It was actually excruciating for me to bend over to put on shoes and socks. Since I was using my inversion table to recover from a back injury, I think a long handle is essential. Even if you just have tight muscles or a back problem that is not as severe as a herniated disc, the extended handle just keeps you from having to bend down so far. This is not critical for everyone but is certainly something to keep in mind as you shop for a table. The locking mechanism works great, as the ratchet clicks into place, so you know it is secure. To release, you push down on the top of the handle. The main shaft or height adjustment tube as it is sometimes called is used to adjust for the height of the user. This shaft slides out from under the backrest and has height markings on it. Typically you can set the rod to your height and be good to go. Sometimes you will have to adjust depending on your center of gravity. Speaking of which, that is the next topic. Every person is shaped differently, and because of this, we all have a unique center of gravity. This affects the rotation of the inversion table. You should be able to operate the table backward and upright, using arm movements, this is when you know you have the table adequately adjusted. So, if you set the main shaft to your height and you are not able to freely rotate backward and back up with your arms you may need to adjust the height slightly. It is recommended that you have a spotter when you are modifying the table, as you don’t want to get stuck upside down. Teeter has included Rotation Adjustment Arms that can also be set for more or less responsiveness. All of these settings may seem overwhelming, but when you are actually setting it up, it will make a lot of sense. There are handrails in case you do get stuck, but you shouldn’t have to use them every time you invert. Getting the table set up correctly is key to effectively using the inversion table. When you have the table set up correctly, you may want to write down your settings, especially if other people will be using the table. Setting the inversion angle is simple using the tether strap with preset marks. There are marks for 20, 40, and 60 degrees on the tether strap. This strap allows you also to set any angle you want. Some tables use a pushpin system which is foolproof, but you are limited to the angles you can invert too. I will tell you why I prefer a strap to preset pushpins. Drawing on my personal experience again, when I was recovering from spinal stenosis in 2015, I had to start inverting at a very shallow angle, 15 degrees. Once I was comfortable there, I moved ever so slightly to a higher angle. I kept doing this in tiny increments, over the course of a few months until I was up to 60 degrees. I was not able to make a jump from 15 to 30 degrees for instance. That is when the tether strap comes in very handy. The pushpin models only allow you 15 or 20-degree increments. Anyway, this is not critical for everyone, but this is something from my experience that I think is important to consider. Honestly, the assembly is pretty straightforward, as the unit comes mostly assembled, unlike some other models out there. Teeter includes tools for you to use, making it that much better. I do recommend having a helper though, as inversion table parts are awkward and cumbersome. Having a helper is excellent especially if you have back pain. I also recommend putting the table together in the room where you will be using it. Again these tables are heavy and no the easiest item to move. Assembling it in the room you will be using it can save you a headache later on. You do have the option to pay for assembly, but where is the fun in that? 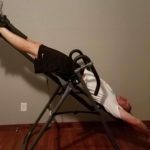 Check out my other post, for more information on building an inversion table. Storing an inversion table is not the easiest thing to do. I recommend using the table in a space like a basement, or an office where you can just fold it up an lean it against the wall. It won’t fold up nice and neat so you can put it under a bed. I have been the route of taking the backrest off and trying to put the whole unit under a bed. This is an annoying pain (literally). Again, if you have a back problem (most likely why you are looking for an inversion table), you don’t want to put your back at risk when you are trying to move and store the table. My advice is to set up in a room where you can easily access the table and use it. Well, maybe this isn’t a huge secret, but wearing shoes while you are inverting will make your experience a lot more comfortable. Remember earlier when I said I was in such pain that I couldn’t bend over to put my shoes on? Well because of that, I used to try going barefoot. That was a mistake. I even went so far as to try towels on my lower legs. Finally, I had my wife put my shoes and socks on me so I could invert. Anyway, save yourself the pain and wear shoes. So, we covered a lot in this review. 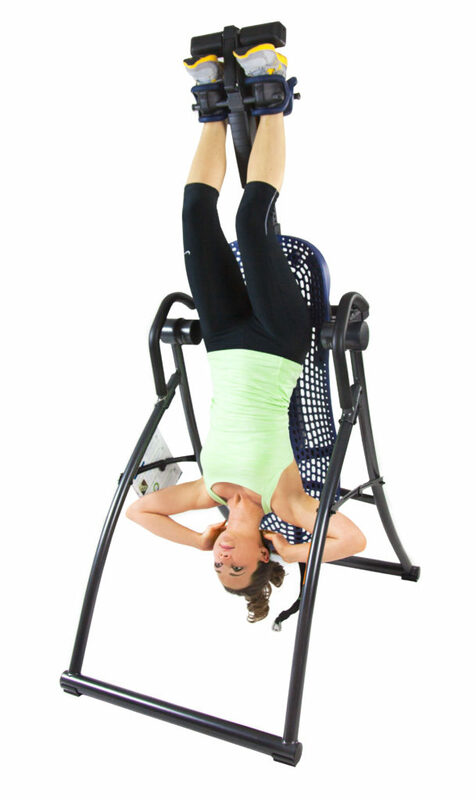 I highly recommend this inversion table, even though it is more expensive than other models. It does offer more customizable features than others do. If you are only in the market for a cheap table and plan on getting rid of it when your back problems are over, you may not want to spend as much. Buying a quality inversion table can last for many, many years. If you are in the market for a table you will keep for years to come, I think this model deserves consideration. Check out more information for other great inversion tables. Be sure to check out more information, about the Teeter Contour L3. If you have any questions or comments, please leave them in the section below. As always, thank you for taking some time out of your day to stop by. 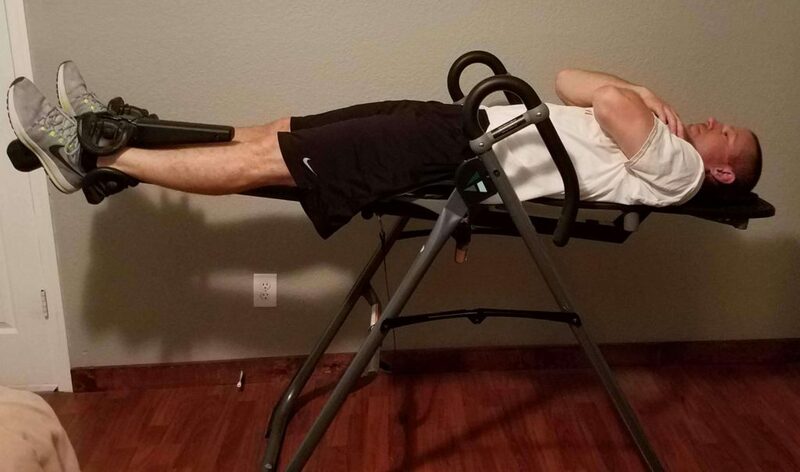 What do you think of this inversion table? Have you had previous experience with inversion tables? This is an amazing review of this product. I came across for the first time with this kind of device and is truly incredible. You have given absolutely every information needed for a well informed decision. Thank you for stopping by Pablo. Please let me know if you have any questions, or need any help. Thank you Marlinda. Please let me know if you have any questions, or need any help. I have been having quite the issue with my back over the past month. It can be very painful at times. I tried a similar product from a friend and it did wonders. 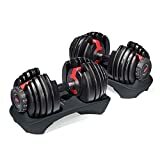 I hope to get some of these for myself in the near future. Hi Brandon, thanks for stopping by. If you need any help or have any questions, please let me know. Hello, thanks for stopping by today. You will definitely want to speak with your doctor about scoliosis. I can help you choose a table, but you will need to consult with your doctor first. You may also want to check out this article.